What does Bridge have to offer? Why is it so fascinating to play? 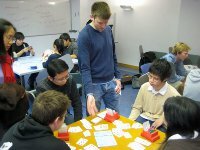 Social – Bridge is played at a table of four players and in partnership with the player opposite (although it doesn’t always go accordingly to plan!). It’s an opportunity to spend time with friends or to meet new faces. 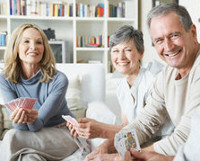 Inclusive – The Bridge table is a level playing field, open to all irrespective of age, gender, background, or personality. None is a barrier to enjoyment or success. 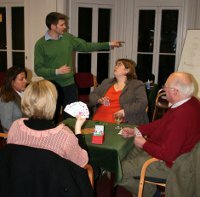 Indeed, we find many colourful characters playing Bridge! 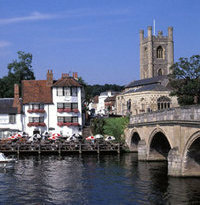 Fun – Bridge is lively with plenty of excitement! It is a real pleasure to play. Challenging – Each deal is a puzzle to be solved. Intricate and complex positions arise all the time to stimulate. Learning takes a lifetime. Playing well is therefore tremendously satisfying! Beauty – The patterns woven by the cards have an intrinsic beauty of their own. Diverting – Bridge is absorbing, demanding full attention. It’s a chance to escape from the worries of the world! Variety – Bridge has many facets which sparkle, dazzle, and delight! 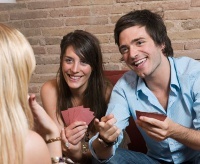 Partnership – Part of the skill in Bridge is communicating effectively with your partner and working together. Discovery – Each deal is a journey during which you become the detective, making assumptions, drawing inferences, and applying a little logic and basic counting (only to 13!). 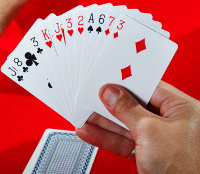 Deception – Bridge includes many situations where bluffing, seeking to mislead the opponents, or concealing your intentions is vital. Risk – Assessing the risk and reward from different actions is a major part of the game. Competition – To win, you must beat your opponents or other pairs or teams. Don’t be too timid!